34 young adults in their 20's and 30's are diagnosed with cancer every day in the UK. In December 2017, at the age of 33, I became one of them. Following the initial shock of being told that I had breast cancer, I made the decision to take a health hiatus and return from London where I had been living for the last 10 years, to my hometown of Newcastle where I could begin treatment with the support of my family by my side. 6 months and 1 day after my diagnosis I was given the news that I had been waiting for, my treatment and surgery had been successful and I was cancer free. It's been an absolute whirl wind combining moving cities, chemotherapy, discovering I carry an inherited gene fault, shaving my head, losing a breast and gaining a new one. That's a lot to take in over a period of just 6 months! - shine a light on the amazing support on offer from the charities and organisations out there who have really struck a chord with me on my personal journey. If you or anyone you know has breast cancer, I hope that you may just find something helpful here. Awareness & Early Detection . .
Cancer that is diagnosed at an early stage, before it has had the chance to grow or spread is more likely to be treated successfully. These words couldn't be more important, if something doesn't feel right, have it checked out! I only found the lump in my breast because it was painful which apparently is quite rare. My GP reassured me that this was a good sign as breast cancer 'usually' isn't painful. she was also pretty confident after examining me that the lump felt like it may be due to hormonal changes and left the decision up to me whether I would like to be referred to hospital for screening. Thank goodness I said yes! 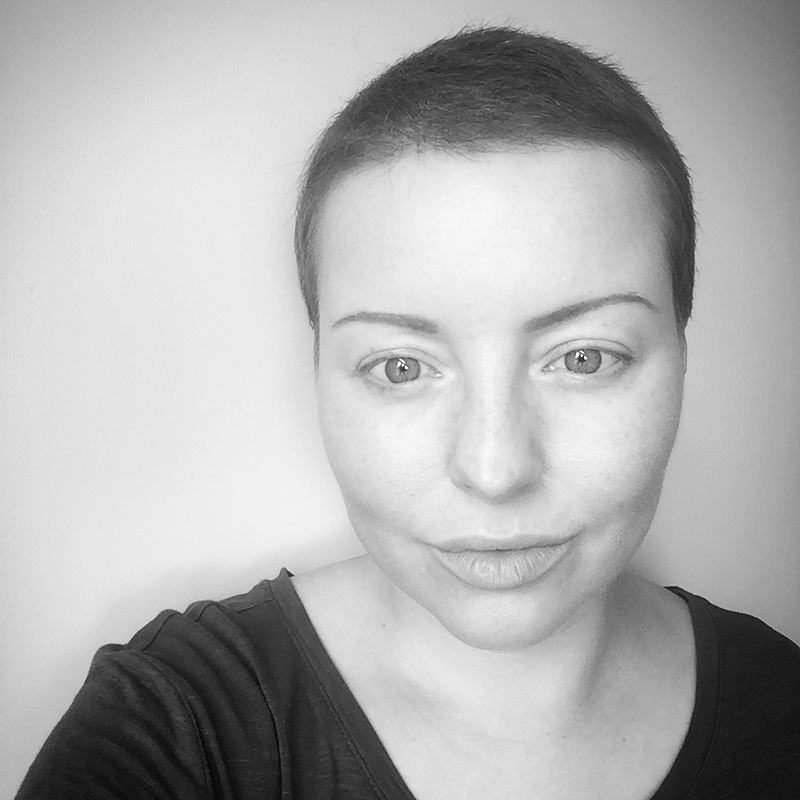 Before I was diagnosed I naively thought that breast cancer was a 'one size fits all' problem. I literally had no idea that there are so many different types, stages and grades, with varying other factors like hormone response and genetics to take into consideration. All these different combinations makes everyone's own diagnosis and prognosis personal and unique to them. For this reason, exercise caution in where you turn to start looking for information. Don't get lost down a Google rabbit hole, instead stick to trusted sites such as Cancer Research UK, Breast Cancer Care , Macmillan and of course, your medical care team. I was diagnosed with triple negative breast cancer, caught at an early stage but growing at an aggressive rate. This combined with some family history of the disease prompted my consultant to refer me for genetic testing. As a result, I discovered that I carry an inherited mutation in my BRCA1 gene (effecting around 1 in every 400 people) This mutation which has been silently present since birth increases the lifetime risk of breast cancer by up to 90% and risk of ovarian cancer by up to 60%. whilst I am thankful and relieved that this cancer has been treated successfully, I still face further risk reducing surgeries to my unaffected breast and ovaries to help dramatically lower the risk of a new cancer setting up camp in my body again. Where to turn for support . .
On the day that I was diagnosed, I was paired with a nurse from Macmillan She was in the room when I was given the news, spent time with us immediatley afterwards and remained my direct point of contact until I left London. Her assistance in those early days was priceless and so comforting to know she was at the end of the phone if I needed anything. Macmillan are a fantastic source of knowledge and I found all of their information booklets very helpful too. Although I have never used it, they also have an online community where you can chat about experiences, ask questions or vent how you are feeling. Once I reached Newcastle, I headed straight for Maggies, a haven of comfort on the site of The Freeman Hospital and a source of practical, emotional and social support when you need it most. If I had to describe Maggies I would say welcoming and homely, like visiting an old friend, be it an old friend with a great eye for interiors and a super stylish house. Banish any thoughts of soulless, dated, clinical surroundings and instead envisage award winning architecture, lots of wood and clay tiles chosen for their warmth and calming properties, tons of natural daylight, a tranquil garden, roof terrace, library, a big kitchen where you can make yourself a cuppa and chat around the communal kitchen table, art hanging in abundance on the walls and tasteful textiles, rugs and ceramics that look straight out of Anthropologie. As someone with an interest in design it was apparent to me very quickly that every inch of this space had been thoughtfully considered to create an emotive response and a sense of inner peace. They run a programme of weekly well being classes such as yoga, Thai Chi, stress management and mindfulness alongside practical help with things such as finance and benefits and beauty workshops with Look Good Feel Better the charity that helps women and children manage the visible side effects of cancer treatment. With a number of local centres throughout the UK and an online centre for those who are not within easy reach of a physical visit, Maggies has the capacity to help everyone touched by cancer, including family members and friends of the diagnosed. The Newcastle centre helped me in so many ways and I feel a lot of gratitude for their support. Another charity aimed specifically at helping young adults with cancer in their 20's and 30's is Trekstock. Dedicated to providing information and support, particularly with topics such as psychological wellbeing, physical activity and social support. I really love that they offer support not just during treatment but 'beyond' cancer too as this, I am discovering, is when you might just need a little bit of extra help in putting back together the pieces of your life. Now that I am back in London I have taken part in Trekstock moves yoga and have completed the 12 week rehabilitation exercise programme to help get me moving again. I have also had the opportunity to practice meditation, take part in a radio interview about my experience and to meet up with others of a similar age who have been through a cancer diagnosis which I have found to be very cathartic. As a hairstylist this was a biggie for me. The very first question that left my lips after diagnosis was not "Am I going to be ok?" but "Am I going to lose my hair?" The thought seemed incomprehensible but sadly I was told that realistically yes, there was a high chance that I would. Naturally, it's not just the hair on your head that can begin to disappear and while it's great to celebrate the joy of temporarily not needing to worry about body hair removal I gained new problems such as discovering that my nose could suddenly stream without any warning due to the disappearance of nasal hair and my eyes followed suit once my eyelashes started falling out. Before leaving London I went to a wig appointment armed with a voucher from the NHS and left with a not so convincing, shiny, artificial, wavy bob wig which I named 'Whinnie', I already sensed she may never see the light of day from the box that she lay in. The human hair wigs started at around £700 (even with my voucher as part payment) not a sum I was prepared to part with at this early stage in the game, especially as I was still hopeful that my hair might stay in tact after learning about a scalp cooling treatment I could try. The nurses had to spray down my hair and then smother it with conditioner before fitting the cap. They used Tresemme conditioner as standard in the hospital and I grew to detest the fragrance as the weeks went by, the highly perfumed smell combined with the feelings of nausea that followed have made a lasting impression, the scent will haunt me forever! At home I was advised to switch to a ph balanced shampoo and conditioner by Simple, the irony, after years as a hairstylist using and recommending premium, luxury haircare brands. As the weeks went by I began to notice some changes to my hair. First my parting starting to appear wider, followed by thinning around my crown. I began shedding handfuls of hair in the shower when washing and strands constantly covered my shoulders day and night turning the humble lint roller into my new, must have accessory! I managed to disguise the thinning with some strategically placed hair extensions in a comb over fashion, gently hidden in place by clipping back my fringe which had remained fully in tact. Eventually though, the balding on top became quite severe where the contact with the cold cap perhaps hadn't been as efficient as the sides and back of my head. It was time for me to find a wig that was actually convincing to my critical, hairstylist eye. My New Hair is a charity that was set up by celebrity stylist Trevor Sorbie MBE to provide advice and information to the public and the healthcare profession. They also train and support a national network of independent stylists to offer 'phycological medicine' to those experiencing hair loss through illness. I was highly recommended a stylist named Darren at Tribeca Hair Design in East Boldon who has worked with Trevor and My New Hair for over 12 years. After an initial consultation I returned a week later to have my new, 'human hair' wig cut and styled. Darren did a brilliant job and was happy to accommodate my request to cut the fringe in myself (I'm VERY particular about my fringe!) The result was an amazing, totally realistic wig that absolutely resembled my old hair style and after cashing in the new NHS voucher I'd been given when I arrived in the North East, I was left to pay less than a third of the price I had been quoted in London for real hair - what a difference 300 miles can make! This new wig was met with lots of enthusiasm from friends and family. Everyone in agreement that it was utterly convincing and resembled my old hair exactly, the only negative was that Summer was coming and wearing it on hot days could be quite unbearable. I completed my final chemo with the thinnest, straggliest, wisps hanging on in around the back and sides of my head. On the one hand It felt like a real shame to think about losing them when they had survived this far, but really, what was I saving them for? Although I had sort of got used to how it looked, my hair really had reached a turning point. So, after a little sob I decided it was time for me to brave the shave and my fellow hairstylist friend of 18 years did the honors. Some ladies do this in the beginning but for me this wasn't an option, not while there was still a glimmer of hope that I could retain my hair. I'm pleased I did the cold cap treatment and it didn't feel like a waste of time because it meant that I never had to experience complete baldness which I know I would have found distressing. Also, the gradual loss of hair allowed me to start and see the outline of my head shape and give me a sneak peak at how a shaved head could look before I actually did it. Post clippers I felt calm, liberated and completely at ease. My sister likened the act to a snake shedding it's skin and that felt like a good analogy, I was ready for a fresh start and although I had my wig as back up, I found a new found freedom and confidence in my buzz cut which put her into early retirement after just a few weeks of wear! Once treatment ended I began to religiously massage Pukka Castor Oil into my eyebrows and gently across my lash line every single night before bed to help encourage regrowth. High in vitamin E it is packed full of essential unsaturated fatty acids like omega 6 which stimulate blood circulation on the surface of the skin, giving hair growth a boost. I'm not sure how quickly my brows and lashes would have otherwise taken to grow back but I feel that this has definitely helped, in fact my lashes in particular appear stronger and thicker than ever before so I intend to keep applying this for the long term! The cancer community . .
As mentioned earlier, I made a personal decision not to blog about my experience, yet ironically one of the first things I did do was take to social media to try and find other ladies who were making noise on the subject. That's how in turn I discovered YOU, ME AND THE BIG C, the coolest club you never want to be a part of. 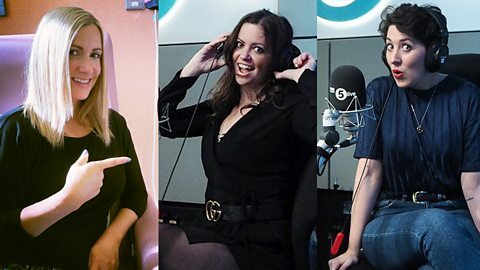 A podcast that takes a candid look at cancer from blogger, vlogger and broadcaster Rachael Bland, writer Deborah James and Lauren, who all have personal experience with the disease. I really admire their frank conversations, honest accounts of the highs and the lows and myth busting insights. It's great that this information is out there in the public domain and accessible to anyone whether newly diagnosed, in the middle of treatment, supporting a friend or family member through the process or just with a desire to educate themselves a little more on the matter. Finally if you know of anyone going through treatment for cancer and would like to send them a nice little pick me up, you may like to check out Treatment Bag. A gorgeous, non profit organization offering luxury goody bags full of thoughtful and practical products to make recipients feel loved and comforted at a time when it means the most. To help cover costs you are asked to simply make a donation.